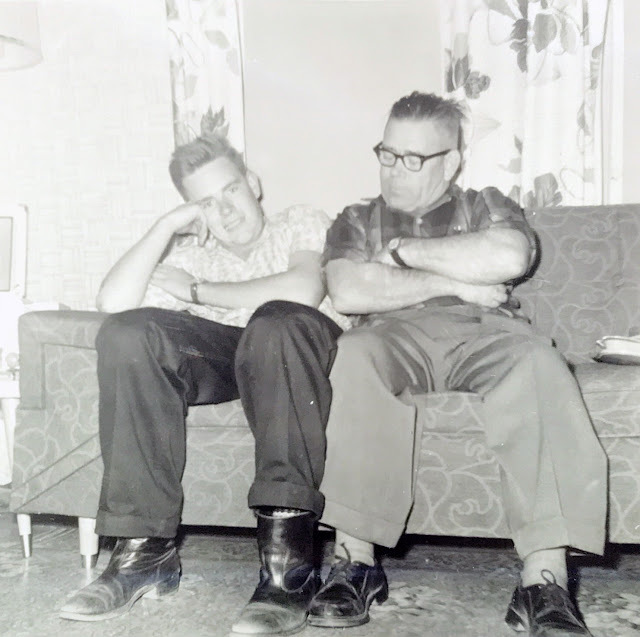 Here's a nice shot of Dad and Granddad from 1959. In Dauphin, Manitoba? You can really see the father-son resemblance here.